In the world of strength and conditioning, learning how to move others—not just physically, but also psychologically and emotionally—is paramount to getting the most out of them. People are the ultimate performance variable, and understanding how to effectively blend knowledge of proper training with the nuances of human behavior is integral to helping athletes achieve their ultimate goals. Unfortunately, while much attention has been given to the science of physical training, little attention has been given to the science of communication. Conscious Coaching: The Art and Science of Building Buy-In bridges this gap. Readers learn the foundational principles of improving relationships, enhancing engagement, and gaining the trust of athletes through targeted communication. And, every bit as important, readers also learn concrete strategies to apply these principles in day-to-day coaching situations they will inevitably encounter. The result is a game-changing book that sets the stage for coaches to create a culture of success within sport, but also beyond. Conscious Coaching is a movement and its time has come. Chess Not Checkers: How a better understanding of human nature, behavior, conflict and personality can enhance your programming, training and results. The Upside to your Dark Side: What social science tells us about how leveraging “negative” personality traits can be our best asset when leading others. More Than an Art: The science behind foundational principles that underpin relationship management, enhanced engagement, and the ability to gain the trust of athletes through targeted communication. It Takes a Village: Shared strategies from more than 15 of the world’s top performance professionals, as well as their tips behind how to deliver these strategies more efficiently and connect more authentically with athletes of all personality types. Re-shaping the Culture of The Craft: What it takes to leave a lasting legacy, and how to reclaim the lost art of 360 degree mentoring so that we can build more competent future professionals within the field. Every once in a while a book is written that has no borders. 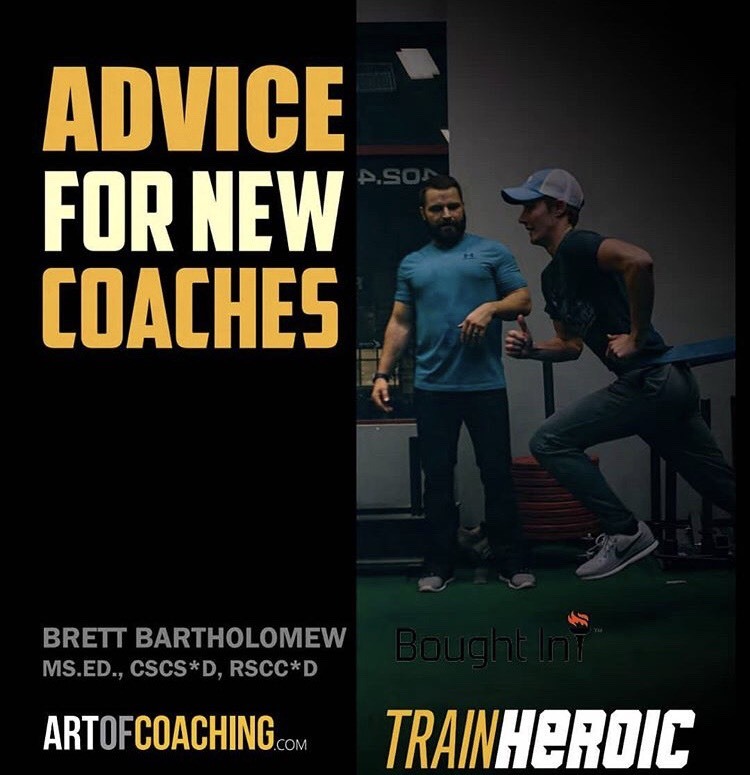 Conscious Coaching, by Brett Bartholomew, is so impactful it extends outside the athletic coaching boundaries and will impact all areas of life. 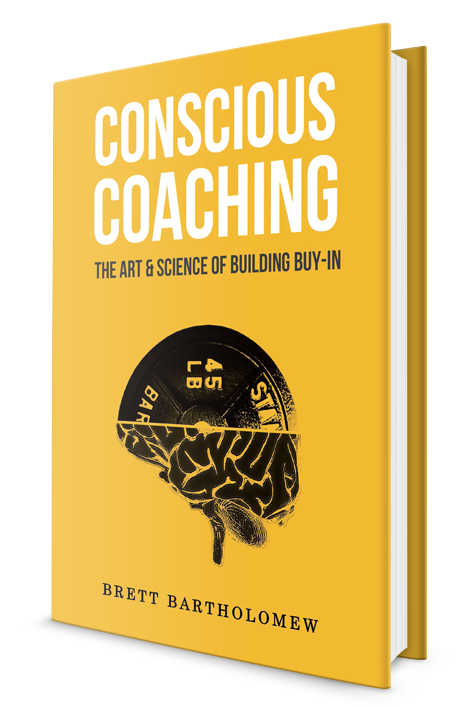 Brett is an elite coach and his insights into the art and science of building buy-in is powerful. Coaching the “X and O’s” will get you only so far. Conscious Coaching will take your coaching and results to a new level. – Dontari Poe, #92 CHIEFS / Two-time Pro-Bowler, Defensive lineman for the KC Chiefs. Conscious Coaching is a must read for those just entering the strength and conditioning profession, or simply seeking to become a better coach. Brett takes you on a journey of his pinnacles and pitfalls while weaving in relevant and real-world lessons applicable to modern-day coaching. This book leverages insights on management, leadership, learning, and social behavior from a number of prominent books and research studies. With this information, Brett creates a wonderful narrative specific to improving the performance of others while also improving one’s self. Our profession gets caught up in the “numbers” of coaching. Numbers don’t have personalities or lives. Conscious Coaching exposes us to how an elite level coach thinks and performs! Devour it! Brett has given me the best years of my football career. Athletes want a coach that not only makes them better physically, but also one that understands our world and communicates in a real way- Brett does that. For me it’s about the combination of smart training and good communication, and what I love and most of all is he is not just my coach, he is my friend. I’ll be working with him until my career is over. Conscious Coaching offers insight into a truly valuable leadership model in which compelling authority runs thin but influence and interpersonal skills are paramount. I’ve known Brett for over decade and his professionalism, expertise, and leadership make him the perfect person to write this book. Brett Bartholomew is one of the leaders of our profession today. He understands that the strength & conditioning industry is part ‘art’ and part ‘science’. We live in a world today where we have many internet ‘gurus’ that get the science, understand the physiology and biomechanics. However, the defining element of ‘coaching’ lies in a coach’s ability to interact with an athlete or group of athletes — understand where they are at, and how to motivate and move a group of athletes forward. Brett’s book will give you some insight into the ‘art’ of how to do this. Creating the environment to teach, motivate, and inspire is a ‘must’ in today’s modern coaching world. Anyone that has seen Brett coach live, or otherwise, sees his passion and energy immediately. Young coaches starting their journey into this profession (or anyone who’s been in for years) would do well to soak up the experiences and learn the applied side of coaching. I can’t recommend Brett’s book enough. It delves into essence of what separates the good coaches from the great coaches. I wish this book was out when I was an up and coming coach – the information that it provides often takes years of experience to work out for yourself. Brett does a phenomenal job of taking the science of coaching and showing you how it underpins the so called ‘art of coaching’. Every coach should understand these concepts.